. The service then lists them in the user interface on the Wireless Networks tab in the connection's Properties or in the Wireless Network Connection dialog box accessible from the notification area. A checked build version of the WZC service can be used by developers to obtain additional diagnostic and tracing information logged by the service. 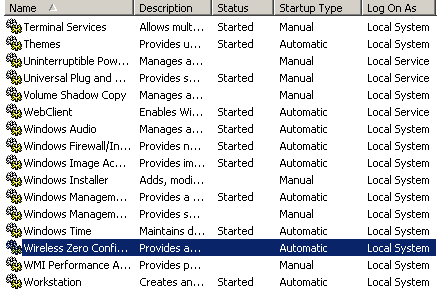 Now i will tell you that How to Start Your Wireless Zero Configuration Utility. 1. 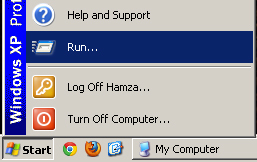 Go to Start Button and click Run. Now a Box will appear. 2. Type Services.msc in Box Text Bar and press OK.
3. 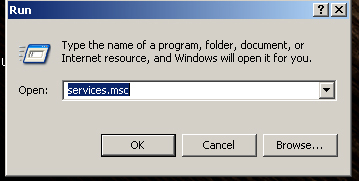 When you will press OK button a window of Services will appear. 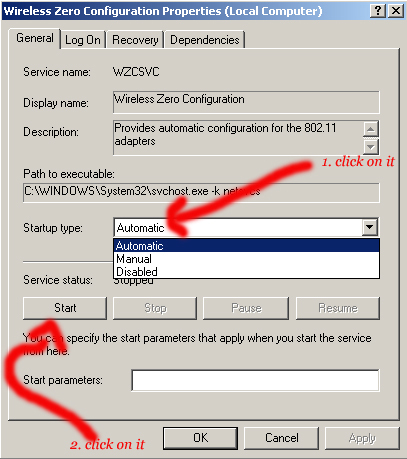 Now find Wireless Zero Configuration in Services list and Double click on it. 4. If your WZC has stopped and you want to Turn it on then Change your startup type with Automatic and click on Start . See the picture below. If you want to stop your WZC then change your startup type with Automatic and Click Stop. Now you have Done. If you have any problem about this topic or ask anything about this topic then comment below.